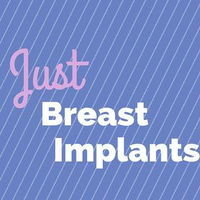 JustBreastImplants (JBI) small team of writers and editors come from backgrounds in journalism, social media, and online media production and are based in parent company Internet Brands' headquarters in El Segundo, California. We work across media for a number of websites serving cosmetic surgery and dermatology clients, including PlasticSurgeons.com, SkinCareGuide.com, DermaNetwork.com, and JustBreastImplants.com. These long-standing physician directories and patient information websites are designed to help those looking for cosmetic procedures to make informed decisions about which procedures will best suit their needs. In addition to hundreds of articles, a before and after image gallery and a physician Q&A tool, JustBreastImplants features the largest online forum dedicated to breast augmentation as well as a robust community on Facebook (be sure to join our private Facebook group!) and Instagram where real women discuss all things breast augmentation. Internet Brands is an American new media company based in El Segundo, California that operates online media, community, and e-commerce sites in vertical markets. The consumer internet division owns and operates more than 95 websites in seven categories including health. Our health division is among the fastest growing at Internet Brands and includes venerable brands such as WebMD, Medscape, Demandforce and many others. Since acquiring WebMD/Medscape in 2018, Internet Brands has become a world-leading health information provider, reaching 90% of American physicians and more than 150 million Web users a month. Move over padded bras and chicken cutlets. Here's how breast augmentation surgery is helping correct tuberous breasts. What is symmastia? It's when your breast implants meet in the middle of your chest. Learn the signs of symmastia and how your plastic surgeon can repair it. Breast implant placement can make the difference between you loving or hating your breasts. Here are two options to consider. Has your breast implant surgeon been involved in a malpractice suit or have disciplinary actions been taken against him? Check these medical boards and organizations to find out. One of your breast implants is smaller than the other. Could it be a rupture? Learn the tell-tale signs of implant rupture--and what to do about it. Think your breast augmentation journey is over? Check out 17 reasons you might need breast implant revision, and the 11 solutions to those problems. If you're going to get the best breast enhancement, you need to ask your plastic surgeon these hard-pressing questions at your consultation. Get all 63 questions now!